When we think of football families, especially those in the NFL, the reactions can be quite mixed. For instance, Bill Belichick, arguably the most accomplished NFL coach of all time, is the product of such a family. And while the mention of Belichick still years later elicits visceral reactions from Seahawks fans recoiling at his mention, few would argue that Belichick didn’t benefit from learning the intricacies of football from a young age while his father, Steve, worked at the United States Naval Academy for many years. In fact, Bill has talked about exactly that on a few occasions as part of the reason for his success and biggest inspiration. And while it may be disconcerting and perhaps even a bit heart warming to see the Sith lord himself showing a touch of emotion there’s a lot to be said about the negative aspects of professional football nepotism. Aside from Belichick there are few instances of the son of a coach measuring up to, or even exceeding their father, in the realm of coaching. 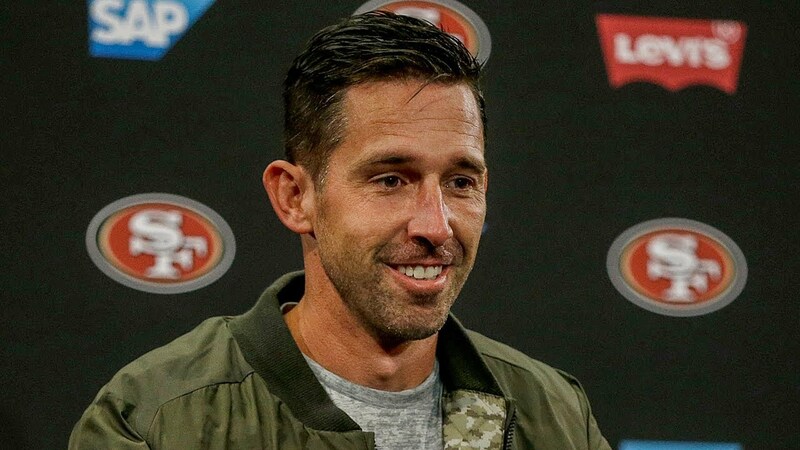 The young Kyle Shanahan of the now resurgent, if we can call six wins resurgent, San Francisco 49ers may become such a case. However his road to catching his three time Super Bowl winning Dad is, as of yet, a long one. It’s interesting to go back and glance at the relationships between coaches, their childen, and career progressions. Kyle’s father, Mike, coached the Denver Broncos organization from 1995 to 2008. During part of that time 1995 through 2005, Gary Kubiak worked as his Offensive Coordinator and Quarterbacks Coach and was on staff for the back to back Super Bowl titles of 1997 and 1998. Perhaps then, it’s unsurprising that Kubiak went on to hire Kyle Shanahan in 2006 while Head Coach of the Houston Texans. 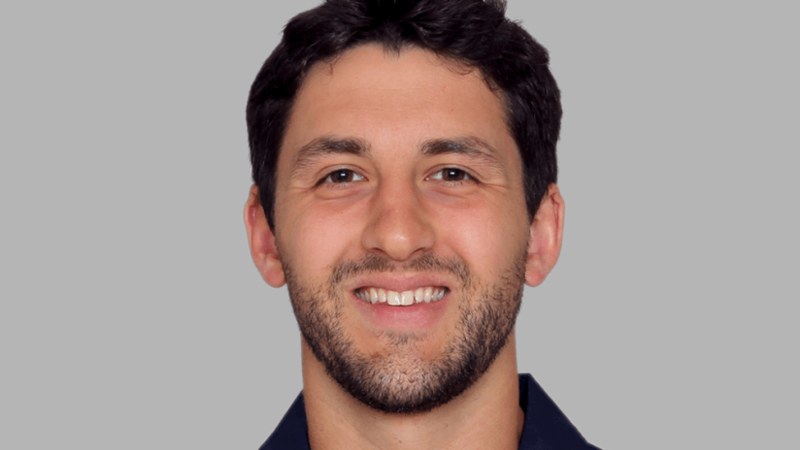 At the time of Kyle’s hiring he was the youngest position coach in the NFL. The position with the Texans wasn’t Kyle’s first NFL gig, no that honor would be in Oakland as an assistant offensive quality control coach under Jon Gruden. But it’s interesting to wonder, would Kyle have been picked up for either job if not for the exposure to NFL coaching talent he received because of his father? After all, we know for a fact that Kubiak and Shanahan the younger had known each other for years before Kyle was ever hired. None of this is to say that Kyle isn’t qualified to be a Head Coach, time will be the judge of that, but is there a cost to this small pool of NFL coaching talent from which we can draw many examples? When hired by the Texans one of the key selling points for hiring Shanahan despite his age was his immense “football knowledge.” However, for every Shanahan we see we can easily point to a Jim L. Mora. As the son of Jim E. Mora, Jim the younger was connected into coaching via University of Washington coach Don James whom is known by many as the Dawgfather. When Jim was 13 his father began work for James and years later Jim would walk on at and work as a graduate assistant for the Huskies. Of course after, like Shanahan, taking a pro position as a quality control assistant, it was only a few short years until he was elevated to the role of a position coach. In 1992, he would be hired by his father Jim E. Mora to serve in the New Orleans Saints organization. While Mora’s career has been that of a serviceable coach, shouldn’t we expect better than serviceable from those who started on third base? As an interesting aside, the worst thing Don James ever did to Seattle was arguably bringing Mora the elder to UW. If James never hires Mora, his son doesn’t walk on at UW having lived in the area for years even after his father transitions to the Seahawks, does not complete his graduate assistant position at UW. Never develops a strong fondness for the area, takes a job under Mike Holmgren, and doesn’t become the eventual Seahawks head coach for a year until being fired and replaced by Pete Carroll. 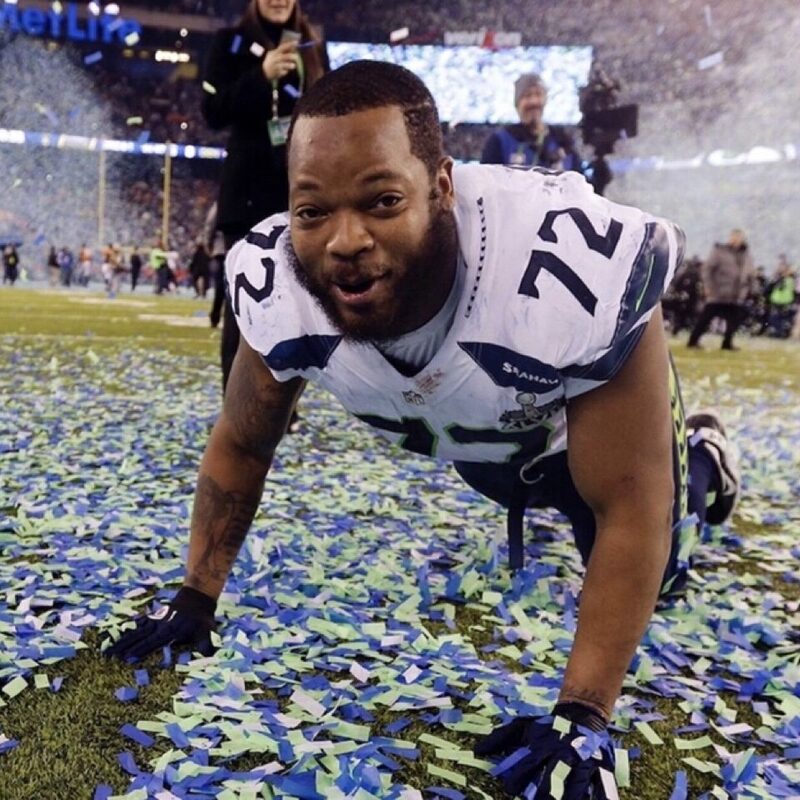 But of course if none of that happens, does Seattle win a Super Bowl 48 XLVIII? Should we happen upon a time machine, let’s not risk it. It was only a year after all. The fundamental flaw with the high football knowledge argument when it comes to selecting the inner circle of current coaches as the next round of coordinators and head coaches is that play calling is a job in decision making, not strictly memorization. Knowledge of formations and the intricacies of football are certainly a necessary condition for being a good coach, but they are not sufficient. Like many jobs, coaches are often promoted one level above their competency. This is known as the Peter Principle. So when we, as fans, see organizations like the Seahawks hire the likes of Brian Schottenheimer. A coach who has repeatedly and emphatically espoused the importance of purposefully running against a heavily loaded box despite the evidence that the number of men in the box explains 80% of the variance of a running back’s yards per carry. It’s natural to start to question the hiring decisions of the organization and football industry at large. Are these organizations limiting their potential by continuing to select coaching candidates from such a small number of names and families? Pete Carroll is about as “self made” as they come for NFL coaches. He worked his way up from college assistant after a career that included only one non-football related job, selling roofing materials in the Bay Area after college. He did not have any family pull him up to the next level, the same cannot be said for his two sons Brennan and Nate. The case of Nate Carroll is particularly interesting. Nate graduated from USC in 2010 having not played football since high school and by his own admission had no real intention of pursuing football as a career. His father, unsolicited, offered him a position with the Seattle Seahawks. There’s nothing particularly wrong with Nate, nor with his coaching. Like so many things in football, those on the outside can glean so much information. A lot happens behind closed doors. It could very well be that Nate Carroll becomes a great head coach someday and the Carrolls join the ranks of other famous coaching families names like Shula or Phillips. But I think it’s worth emphasizing what happened. On it’s face, Nate’s qualifications in 2010 where underwhelming to say the least. What he had more than anything was a name and a connection. The head coach of a professional team hired, unsolicited, a psychology major with no college football experience to help coach at the NFL level. This is the very definition of nepotism. To his credit, we should at least recognize though that since his hiring in 2010 there has been no indication that Nate Carroll has done a bad job throughout his time with the Seahawks. In fact, when Gus Bradley left the Seahawks for the Jaguars he tried, unsuccessfully, to take Nate with him. Additionally, former Seahawks players like Jermaine Kearse have had nothing but glowing praise for the young coach. But, just because a decision turned out well should we not still question it? After all, the Seahawks are valued at about $2.4 billion and when we’re talking about the training and oversight of a multi-billion dollar operation the artificial limitation on entry level coaching candidates seems inefficient at best. Is this even a problem? Instances like these are a bit perplexing when it comes to sports franchises and they aren’t unique to Pete Carroll nor the Seattle Seahawks. Jason Garrett got his exposure to the Dallas Cowboys in part because his father worked in the scouting department, even Bill Belichick has one of his sons working for him on staff. This problem, if indeed it even is one, is widespread. But in such a high stakes business, where success or failure is defined in wins, wins drive revenue, and you have so few chances at success all season the outcomes for hiring have to be better than just “it turned out fine.” Shouldn’t we want the absolute best possible coaches regardless of background? But that becomes hard, what can we point to for a recent college graduate as the keys for them to become a good or great coach at the next level? There’s no bachelors degree in football coaching and so many people who get into coaching start at the same place, as a graduate assistant. The process of getting a graduate assistant position can be daunting between the low to no pay, long hours, and the head coach of the program is often the final hiring authority. The pool of people who are interested, able to bare the burden of the low wages, and have enough of a relationship with the head coach of a program to get hired is small. Is it any wonder that those running these programs are looking to those closest to them? But such a system automatically excludes those of the lowest income regardless of their desire, capability, or drive. This isn’t to say that those of humble means can never become a NFL or high level NCAA coach, but the deck is certainly stacked. The process of making such a system more fair would be daunting to say the least. But the surest way to ensure the highest quality of coaches would be to open the applications of entry level positions to the largest number of candidates, not just the sons and friends of current high level coaches. If we, with a magic wand conjured through the magic of the blogosphere, eliminated the oft-underpaid positions of graduate assistants in favor of a full-time job with higher pay, it may feel like a good solution. However, with the greater burden on university budgets at smaller schools, we could expect those positions to be reduced or eliminated at all but the largest programs. Likewise, increasing wages for entry-level coaches at the community college and high school level seems equally unlikely. Many districts cannot afford such a proposal and, in a time when American public education faces so much scrutiny, the optics alone seem overwhelming. Additionally, the production of some sort of objective metric in order to measure coaching candidates seems like a fairy tale and lacking some sort of incentive. I doubt that an NFL-caliber football coaching academy will appear any time soon. Such institutions do exist at the high school level, but little elsewhere. And with only about 19% of NFL coaches having professional-level playing experience, the route to coaching seems to go less and less through the this route. The sad reality is that there really isn’t enough economic incentive for an organization to establish a professional training program for coaches. A lack of incentive will change little in the short term. So while we can wring our hands hoping that our favorite team will hire someone competent and not just the offspring of a current NFL executive, scout, or coach, that doesn’t seem to be changing anytime soon. Previous postIs Pete Carroll a Good Coach?